Police say the man suspected in the abduction of Inez Ramirez is driving a red 2006 Chevy Silverado. The Ellis County Sheriff's Department has discontinued this Amber Alert. Law enforcement authorities across Texas are looking for a missing 16-year-old girl. Inez Ramirez was last seen in Red Oaks, Texas – south of Dallas. Ramirez is 5'2" and weighs about 130 pounds. She has brown shoulder-length hair and brown eyes. She was last seen wearing a green shirt and black shorts. Police believe she may be with 23-year-old Edger Barron. He’s 5'9", weighs about 145 pounds and has black hair and brown eyes. 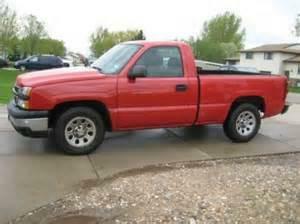 Barton is driving a red 2006 Chevy Silverado with Texas license plates. Anyone with information on the whereabouts of Ramirez or Barton should call police. The number to contact the Ellis County Sheriff's Office is (972) 937-6060.